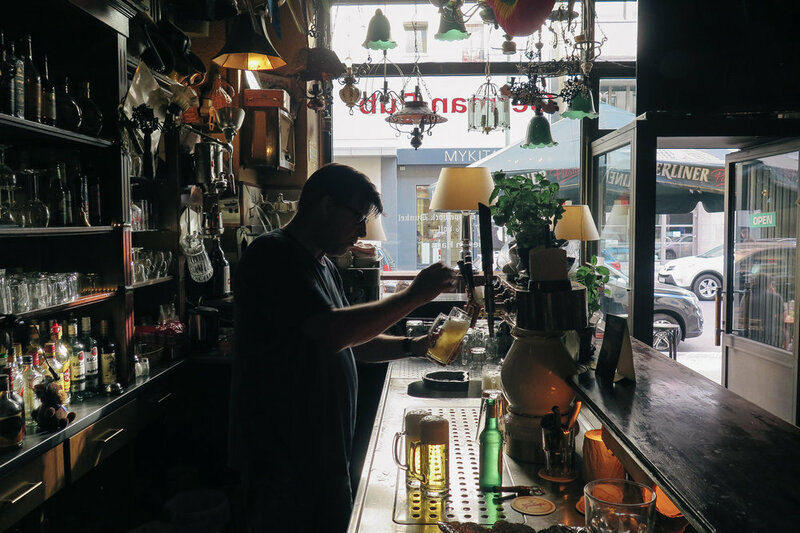 If you like dive bars and OG vibes – check out a kneipen [which we talk about in this post]. 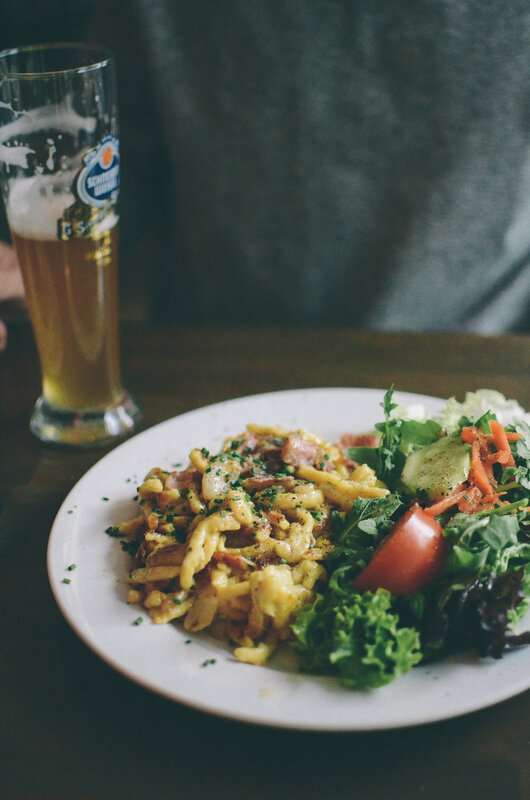 Currywurst and döner kebab are the local fare and extra tasty here. The transit system here is AWESOME and massive. It will pretty much get you anywhere, buy the day pass and be on your merry way. Airbnb Berlin So many incredible places to stay, our Berlin Wishlist. Schoneberg Very cool and local hood, has a ton of character and historic architecture. 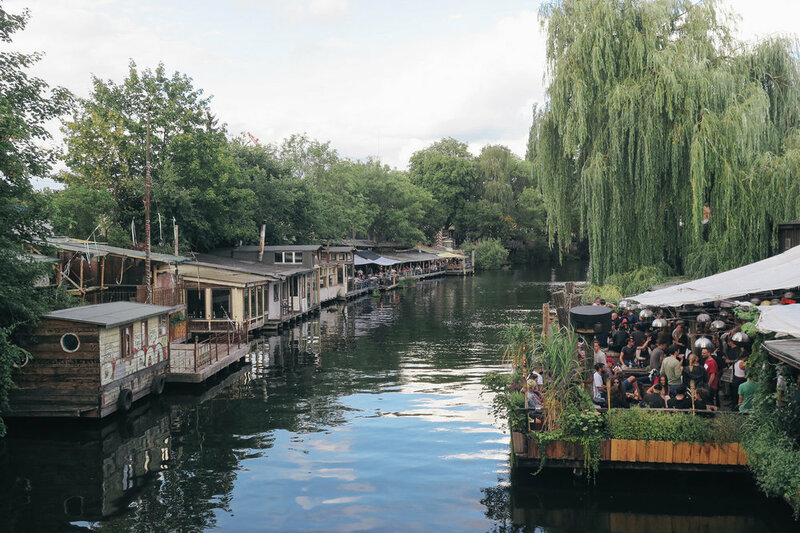 Kreuzberg is in the middle of the continued gentrification of East Berlin. Michelberger Hotel or 25 Hours Hotel Even if you don't stay here – grab coffee, shop or have a cocktail at the monkey bar [overlooking the monkeys in the berlin zoo]. Linnen or Gorki Apartments (Mitte) Experience the raw and unique design aesthetic of Berlin. Café Anna Blume Brunch here - sit outside on their great terrace. Put your name down then walk around the pretty streets and farmers market. Roamers This place is cool and of course has a crowd out front waiting for tables. Pop in for a coffee / yogurt and just enjoy the vibes if you don't feel like waiting for a table. Berlin Burger International The burger scene has taken off in Berlin, plenty of options. Cafe Ribo Casual lunch spot. Thai Park Every Sunday, thai street food in the park. Also sell beer, wine & cocktails here. Super fun and local! Markthalle Neun Thursday night outdoor market. District Mot Saigon street food, legit Vietnamese food and a fun meal out with friends. Kimchi Princess Korean bbq spot that is great and very popular in Berlin (get a resy). Fun choice for dinner and drinks before going out. Roamers Mentioned above, this is a cool spot for food but if you don't have time to wait for a table – snag one of their fancy coffees and just enjoy the scene. Boat Canal Tours You’ll pass the Reichstag (house of parliament), once burned down by the Nazis as part of Hitler’s government takeover, old border crossing at Friedrichstrasse station (Tränenpalast Palace of Tears) and Museum Island. Holocaust Memorial Check it out and pay your respects. Tempelhof Famous as the lifeline for West Berlin during the Cold War, the old airfield has become the city’s biggest urban park. Must visit in the summer. Brandenburg Gate Among the most important and distinguished attractions. Where Napoleon charged the city, Reagan gave his famous speech and where Hitler marched through in 1933. Berlin Wall Memorial The history and tribute here was chilling. Talk a walk along the wall and read the history of Nazi Germany. Stadtbad Neukolln Old school Roman/Greek style bath house.